← What Mom Eats Matters! This Canadian study of 50 child care centers observed teachers’ behaviors and children’s food intake to find some very interesting correlations. What I found most interesting, however, was that “satiety recognition and verbal encouragement were not associated with children’s intake of nutrients nor vegetables and fruit.” You can’t coax a child to eat the way you want him to eat. You have to model the behavior you want if you expect results. What action will I take? 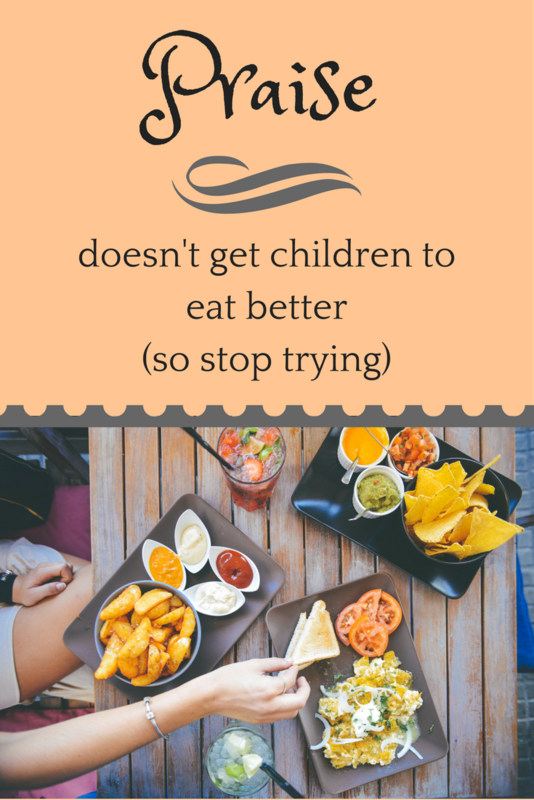 I’m gonna stop wasting my breath on telling my children they did a good job eating dinner. I don’t think I really said that phrase much before reading this, but now I definitely won’t. This also reinforces for me the importance of me using good mealtime habits. It’s a lot easier to skip my snack & just eat her leftovers instead, but I need to take the time to eat healthy food WITH her.